Resale prices of non-landed private homes in August rose 0.4% month-on-month, according to flash estimates from the Singapore Real Estate Exchange (SRX) on Monday (Sep 8). Still, when compared with August 2013, resale prices of non-landed private homes have dropped 5%. Compared with the recent peak in January 2014, prices have declined 5.3%, SRX said. Resale prices of private homes in the Core Central Region rose the most last month, rising 4.8% compared with July. In the Rest of Central Region, prices were up 1.5%. 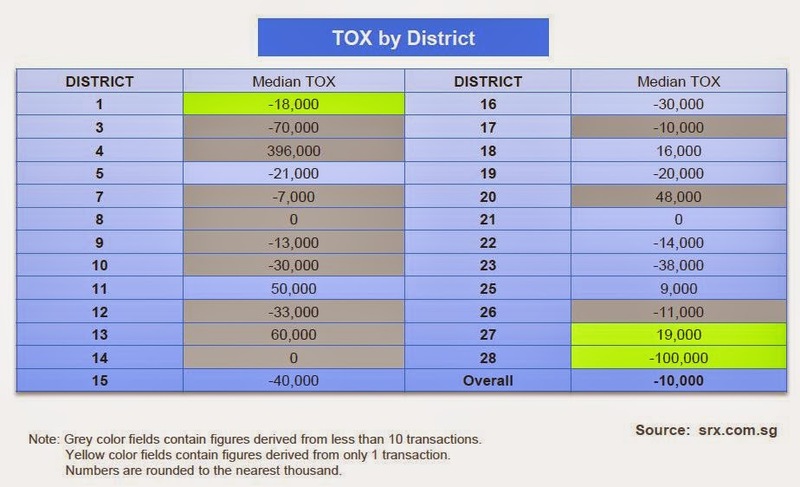 In comparison, resale prices in Outside of Central Region fell 1.1%. Resale volume remained flat, with 418 non-landed private homes resold in August, similar to the 417 transacted units in July. As for rental transactions, the number of non-landed private homes rented out last month was 3,539 – a 3.6% increase from July. 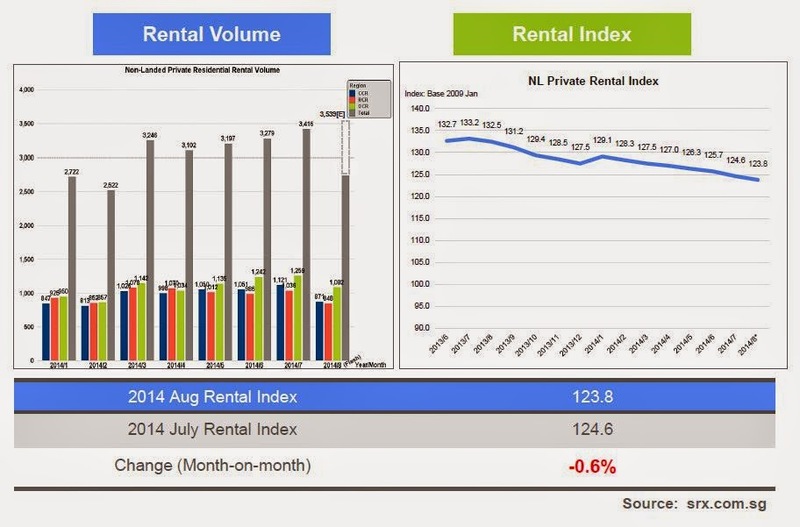 Year-on-year, rental volume improved by 25% from the 2,831 contracts signed in August 2013, according to SRX. However, rental prices continued their fall, slipping 0.6% from the previous month – the seventh consecutive month of decline. The decline was greatest in the Core Central Region at 2%, while prices in the Outside Central Region fell 1.1%. Prices in the Rest of Central Region, however, rose marginally by 0.4%. 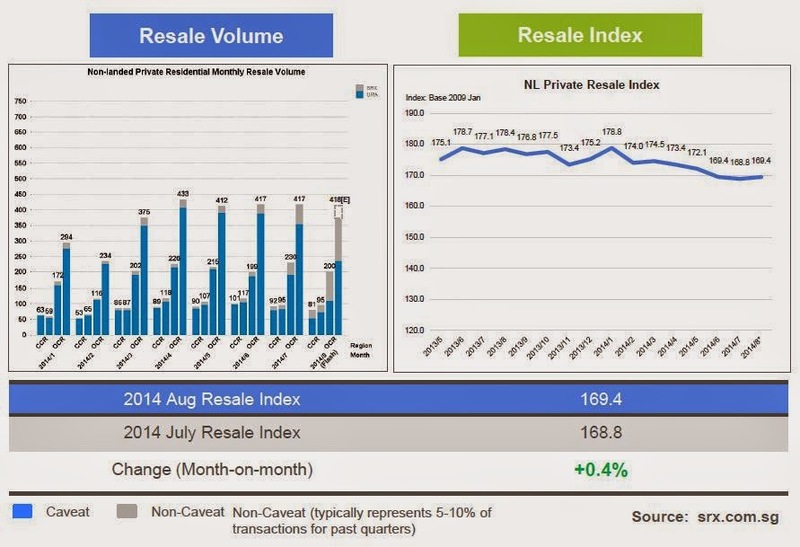 2 comments to ''August 2014 private resale/rental: Resale prices up, rental prices down"